Paris Blockchain Summit will gather international key players of the industry well-known influencers, investors, government representatives, professional investors, blockchain developers, law firms and service providers. PBS will welcome thousands of enthusiasts in Paris during 2 days of conferences, hands-on workshop, exhibition and exclusive announcement. Learn from trading workshop conducted by world-known Tone Vays (Bitcoin Trader & Risk analyst with +10 years’ experience in Wall street), legal workshop conducted by major international law firm and smart contract development workshop conducted by Top 10 Blockchain Engineering company Crypto4all. Assist to world’s premiere announcement of the creation of the first Blockchain based European political party during the event ! Paris Blockchain Summit are sponsored by Mbaex the Southeast Asian biggest crypto asset exchange and Tozex which provides unique gateway for token issuance, listing and trading. 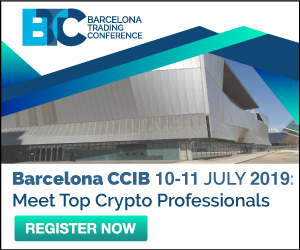 IBM, Credits, Dash Embassy, European Parliament, European Chamber of Blockchain & Cryptocurrencies, central bank governors, +20 Crypto Capital Investors and so many more key players ! Join the largest event of its kind ever organized in France ! If you would like more information about this topic, please contact us via email. Previous Entry Is Venezuela a New Field for Global Battle?